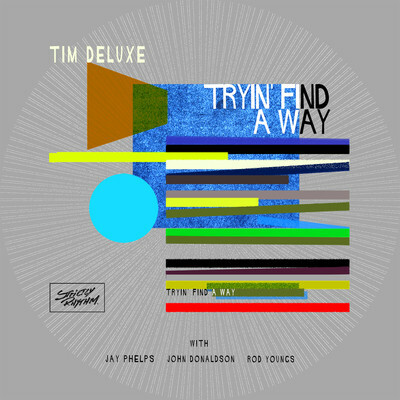 Tim Deluxe makes his Strictly Rhythm debut with ‘Tryin’ Find A Way’, taken from his heavily jazz-influenced forthcoming studio album ‘The Radicle’. To record the album Tim apparently surrounded himself with some of the best contemporary jazz musicians around, an approach that comes to the fore on this single. ‘Tryin’ Find A Way’ has in part some elements of classic and deep house, but is primarily driven by the sound of real instrumentation. The Club Mix embodies this best, where the deep spoken word adds to the track’s house-y club feel, the jazz elements of bass guitar, piano, trumpet and oscillating cymbals are the track’s feature. ‘Tryin’ Find A Way’ (Dub) goes more upbeat and has an intoxicating groove. Driven by a pronounced bass guitar and shaky snare overlay, it has a good sound that may compel the entire dancefloor to pick up their moves. Check it out below, it’s out 24 August.